Visiting family has so many advantages. Of course it is wonderful to see everyone and catch up on the goings-on but, for this trip, it was also wonderful to have others for Alice to see and interact with. Alice spends all of her Mondays through Fridays with me. Sun up to sun down. My husband helps out as best he can but works ten to twelve hours on most days of the week so he leaves as she is waking up and is home just in time to kiss her goodnight. So she spends all her days looking at my face and me at hers. Okay. Before I say what is on my mind let me say first just how much I love my daughter. She is the light of my life! Just thinking about her little face brings a smile to my face and makes my heart swell. It sounds so cliche but I never imagined I could love something so much. But she also drives me totally crazy. Not all the time. But sometimes. So going to see family helps by mixing things up for us. Mom gets a break while Grama or Grandpa or Uncle or Auntie or anyone who wants to holds her, entertains her, plays with her. And having others care for her for just a bit helps me to remember why I chose to put my career aside and stay at home to raise our daughter. It makes me feel so lucky to be the one that she spends her days with. I guess what I am trying to say is that sometimes I might... just maybe... take hanging out with Alice all day, every day for granted. Of course I am never mean to her or anything terrible like that but I don't always have 100% of my mommy game face on when we spend our days together. I don't think anyone can give 100% of themselves 100% of the time. I know that is normal. 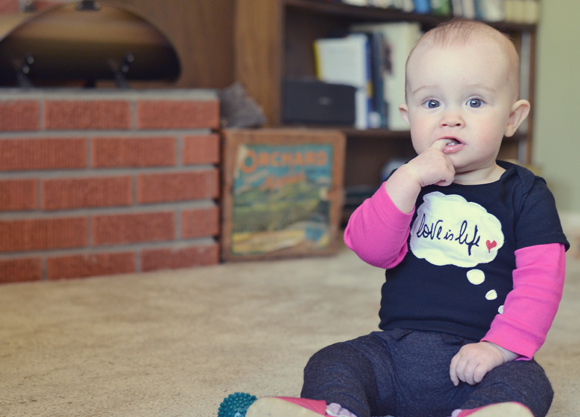 But then there's that whole mommy guilt thing. Oh, the mommy guilt! And so today, being the first day back with just me and my little sidekick, I won't take a second for granted. Not even one. Can you relate? If you can't, please don't tell me I am a horrible mommy! 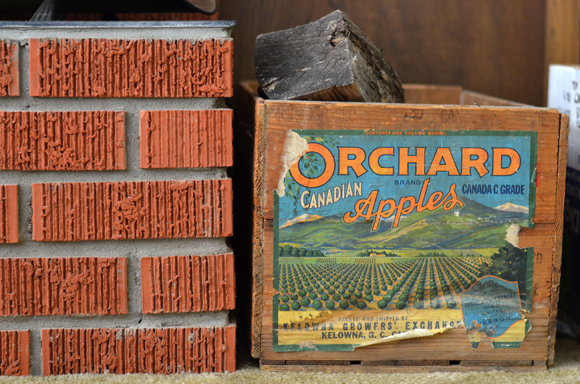 Don't you love this old apple box my in-laws use to store wood? I've already claimed dibs to it if they ever decide they don't want it anymore. interesting you posted this today. 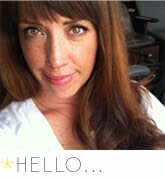 Another friend (If you look through "blogs I follow" her blog is called And Then We Laughed) wrote about SAH as well. When I only sleep a little, and he only naps a little, it's sometimes the best I can do! I think you are probably doing awesome. Of course! It's totally normal to have burn out when you are spending all day every day with your baby. You can't be super entertaining mom every day, if you can then you are probably a little nuts :) It's not easy to be home with a kid all the time, but the alternative isn't easy either so all we can do is give it our best shot and hope for more helping hands. 24 x 7 days a week can start to feel like you are in a rut. So I don't blame you for feeling like you need a break here and there. When you and your sister were little, I relied on my parents, and sisters to take you for a couple of hours, so I could go to lunch with "grown-ups" and not always talk about kids, feeding, pooping, schedules, etc.